All the YESSIR’S! Linebacker Richard Moore has announced his commitment to A&M. 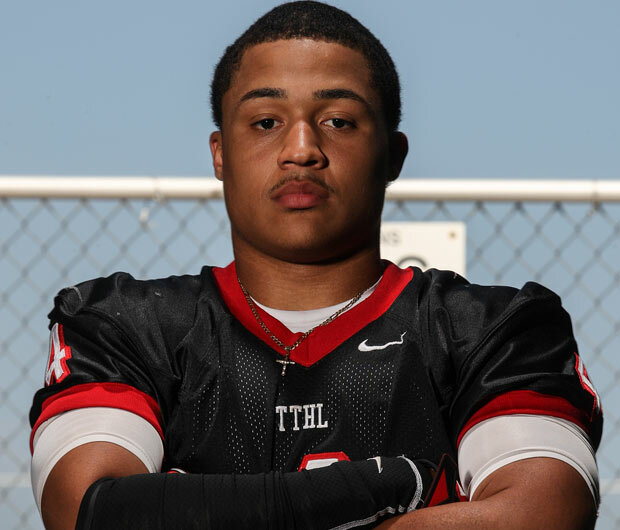 He is not only the 2nd commit of the day but also the 2nd commit from Cedar Hill, TX. He joins teammate DaMarkus Lodge who committed earlier today. The 3-star recruit has compiled a very solid offer list including Baylor, Missouri, Nebraska, Oklahoma State, Texas Tech, and Wisconsin. But following the commitment of Kyler Murray 3 weeks ago, Moore was ready to shut it down. He announced his decision date the following day, and as many had predicted he chose the Aggies. Richard Moore is 6’1” 200lbs and is listed as the 25th best player at his position. Although a bit undersized, the 3-star prospect is a very instinctive player that has accumulated some impressive stats. Just last season, he had 182 tackles with 132 of them being solo tackles. Furthermore, he is more than capable of getting up-field, and proved this with his 31 tackle for loss and 8 sacks. With a redshirt year in Larry Jackson’s strength and conditioning program, Moore could increase his weight to a more ideal 215lbs to 225lbs. He could also drop his 4.81 second 40 time and become an elite threat off the edge. A&M now sits at an impressive 17 commits still eight months from National Signing Day. Moore gives the Aggies 3 linebacker commits joining 3-star Riley Garner and 3-star Landis Durham. The Aggies are still looking to add a final linebacker to the fold in 5-star recruit Malik Jefferson. It should not go unnoticed that Jefferson is good friends with DaMarkus Lodge, Kyler Murray, and Daylon Mack. And with all of the recruiting momentum the Aggies currently have, Malik Jefferson could soon shut it down giving the Aggies yet another 5-star recruit.